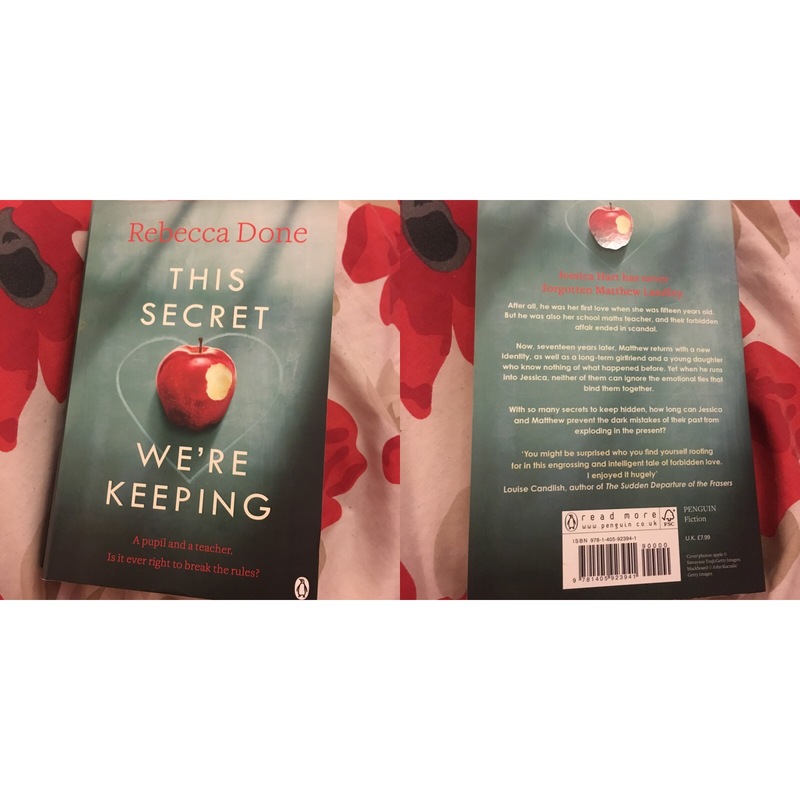 I have just finished this amazing book by Rebecca Done and I literally started and finished it within 24hours! I stumbled across it in Asda and bought it. Took it home and started reading it in the sun and the rest is history. Trying my hardest to keep the plot twists a secret!, the book is about a teacher and student who got together when she was 15 and then meeting again many years after when they are older after being caught and the teacher doing time in jail. He has now given himself a new indentiy when he bumps into Jess. Both living new lives and feelings emerging you will be completely surprised at some of this books plot twists! Interlaced friends, boyfriends and girlfriends, loveable pets with a love of food and wine – this book was ticking all my boxes.I finished it tonight and gasped at the last page! And that’s all I’m saying. You have to go get this book and give it a read, truly enjoyed it! I’m going to go find more by Ms Done!